You can reach us via WhatsApp from Monday / Saturday 9am to 7pm. A bike and boat trip through North and South Holland in the sign of spring flowers. Visit the historic park Keukenhof, known by the hundreds of thousands of blooming tulips, hyacinths, daffodils andother bulb flowers. You will also bring a visit to the flower auctionin Aalsmeer, a cheese-farm and the open-air museum "Zaanse Schans". During the bike-tour, you will enjoy the colorful, wide open meadows. Some parts of the route will be taken with the boat. Day 1: Saturday Amsterdam, embark from 03:00 pm. The crew will welcome you aboard Quo Vadis with coffee and tea. Explore the Dutch capital on your own. All the major tourist highlights are within easy walking distance. You leave Amsterdam and travel along the 'Amsterdam Forest', Schiphol and Aalsmeer to Kudelstaart on "Westeinderplassen". 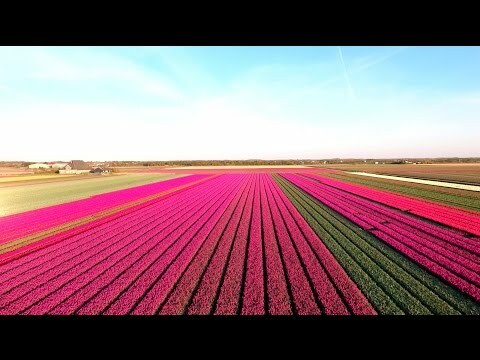 Today we have to get up early to ride to Aalsmeer and visit the largest flower auction in the world. From there you will pass through the beautiful Dutch landscape through the green heart of Holland in the direction of Leiden, the birthplace of Rembrandt. Along the way you visit a traditional Cheesefarm. In the evening you have enough time for a walk in the old city of Leiden. Today you will bike to Lisse to visit from there the famous ‘Keukenhof' flower gardens. In this park you can see more than 6 million tulips, narcissi, hyacinths and other bulb flowers. In the afternoon you bike through the blooming fields of flowers to Haarlem. From Spaarndam with a detour to the monument of the legendary figure, Hans Brinker, we continue to the historic city to Zaandam, before you visit to open-air museum "Zaanse Schans". Here, you can expect an Old Dutch museum village. From there you bike to Alkmaar. In the early morning the ship travels to Schagen. Starting there you will make a lovely bike ride through the flower fields of Anna Pauwlonapolder. The return journey is along the coast and the ‘Schoorlse Duinen' to Alkmaar. After a visit to the cheese market in Alkmaar , you bike through polders with beautiful villages such as: Beemster, de Rijp, Schermer (mills) to Amsterdam. After breakfast: End of the journey.